Welcome to National Auto Glass of San Luis Obispo, Calif. Since 1950, National Auto Glass has served customers from Paso Robles to Santa Maria, and we travel up to the Central Coast to Cambria and Paso Robles. Our company provides quality automotive glass, and we specialize in window regulators and motors, custom auto glass for older vehicles, glass cutting and much more. Also, for you protection, our company is fully licensed, bonded and insured. We exceed our customers’ expectations on each and every job we undertake, and we always aim to please. National Auto Glass is your No. 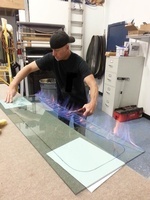 1 source for all your automotive glass needs! 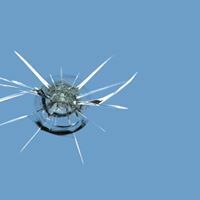 If you have a cracked windshield or chipped glass, don’t worry because our experts are here to give you the quality service you deserve. We provide glass for all makes and models of new and old cars, motor homes and diesel trucks. Please note: National Auto Glass does not provide tinting or house glass services. Learn more about our services and call us today for a free estimate!